By Royal Classic, dam St.Pr Dame Rouge T by Don Frederico, grand dam Weltmeyer / Brentano. She has come into NZ in foal to Buckingham. Saphira was purchased from the Elite-Foal and Broodmare Auction in Verden Germany in 2014. She is by Soliman De Hus out of a Wesley mare St.Pr. Wisconsin. 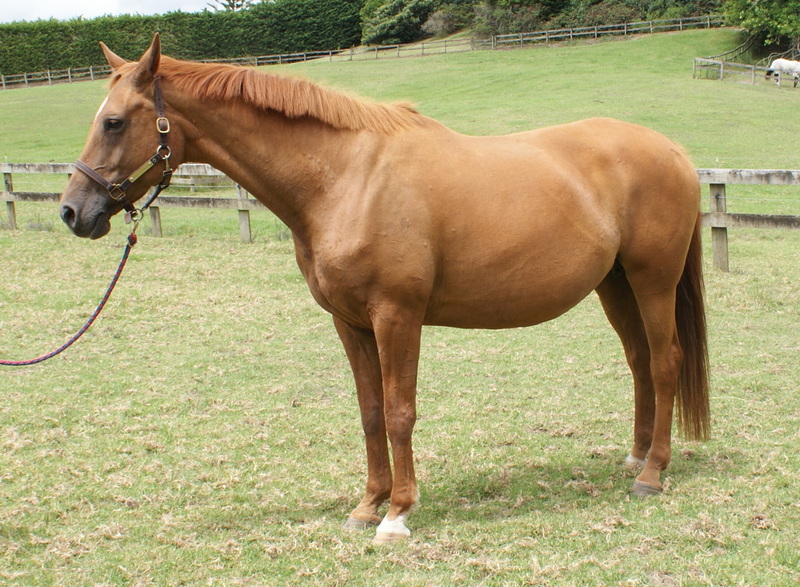 Saphira is in foal to Damon Hill and is due in May 2015. 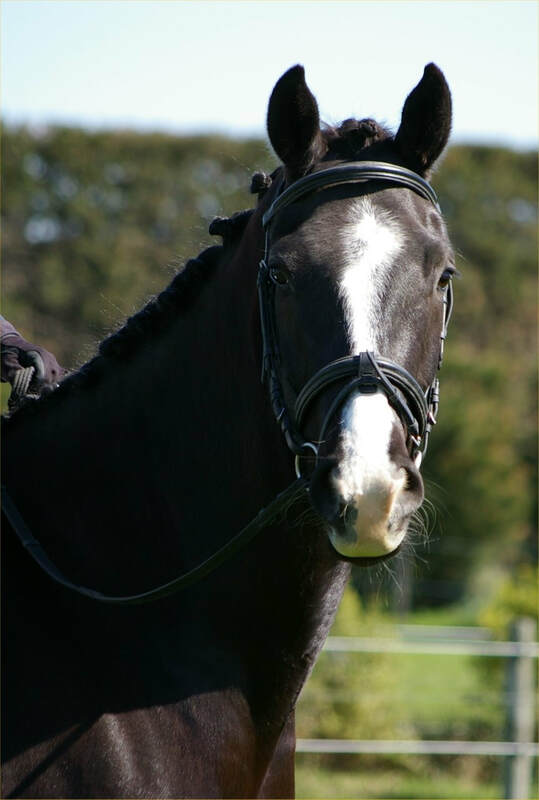 She is a stunning elegant black mare with a lovely temperament. Dream World MH is by top quality Hanoverian mare by Dream Boy ex Wel Kantje (bred by embryo transfer). 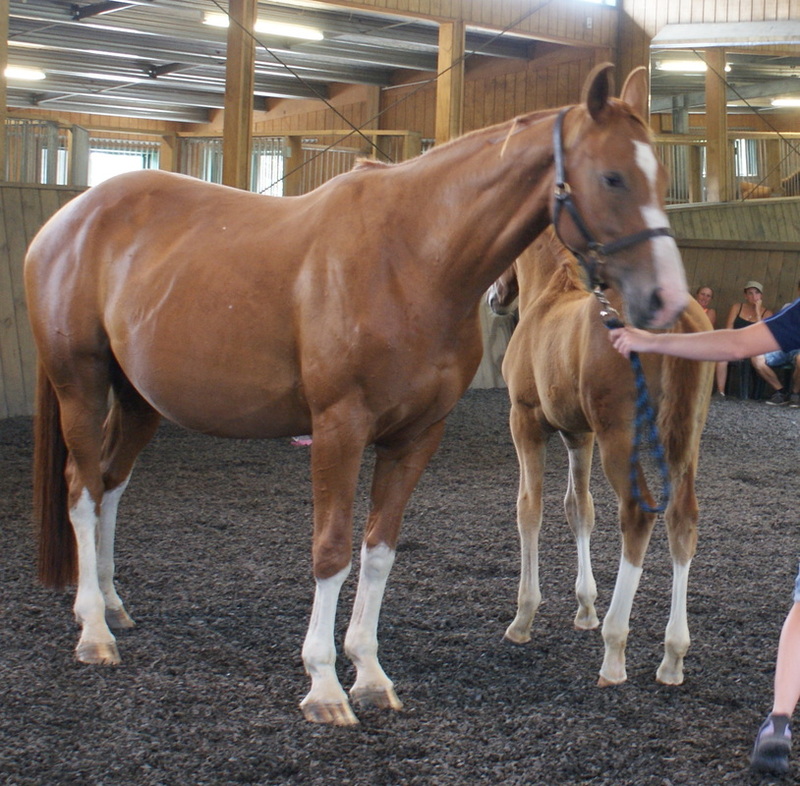 She scored over 8 in her mare inspection tour by the German Visitor Dr Wilkins. As a competitor she won the 2005 North Island Horsepower Young Dressage Championship and progressed through the grades very successfully including winning two Level 4 Championships. 2009 - "Pandora MH", bay filly by Prestige VDL. 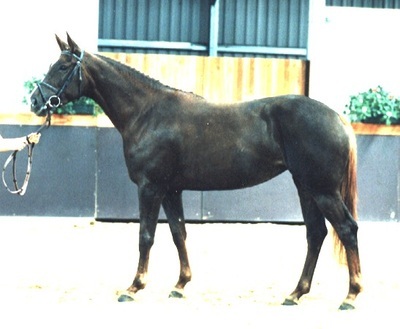 By Weltmeyer ex Duela by Dobrock who was by Donnerwetter who is Donnerhalls father, so here we have two top Dressage bloodlines. We purchased Weltlibe when she was a 2 year old at an Elite Broodmare and foal Auction in Verden Germany. She came straight home to grow up. We have now broken her in and she has been Mare Performance Tested. She recieved 10 for her walk and 9's for trot and canter and rideability. 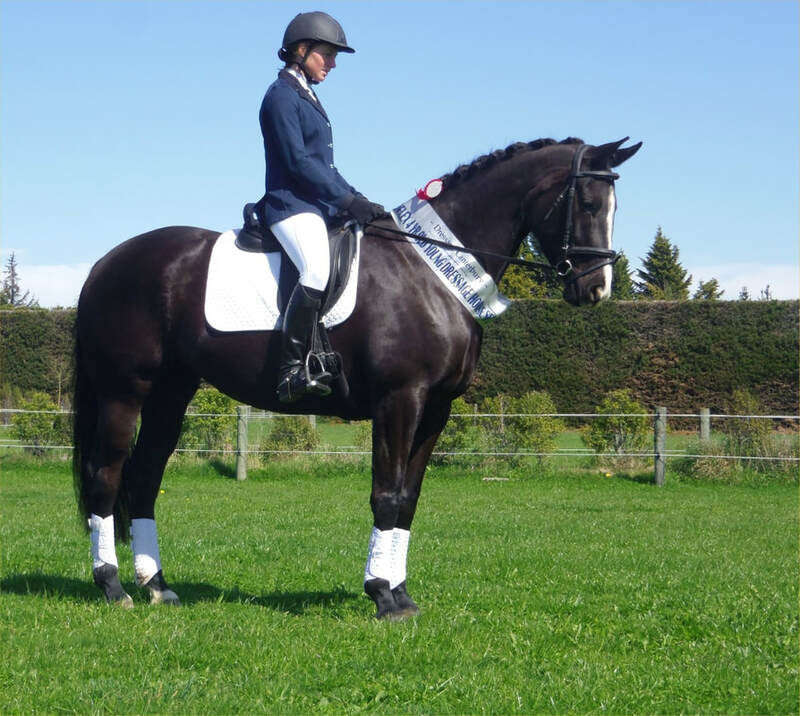 She has competed in 2 dressage tournaments and has 35 points. 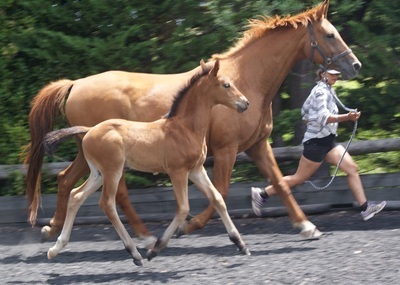 We succesfullly acheived two embryo transfer foals with her while she was competing. 2009 - "Harmony MH", filly foal by His Highness. Born 3.11.04 by Brentano II out of Wel Kantje Imp. 16.2. 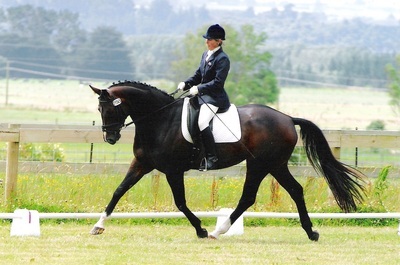 Bridget had a successful dressage career getting to Champion level 4. She did compete in Level 5 with good percentages and placings. She has a great temperament and was an easy ride. Could put anyone on and know they were safe. Everyone’s favourite. Capriana is a lovely and well bred mare by Contucchi out of Whitsun (now retired from breeding) who is by Weltmeyer. D'Zine is a stunning chestnut mare by Dancier out of our wonderful imported mare Wel Kantje. 2012 - "Heartbeat MH", colt by His Highness. 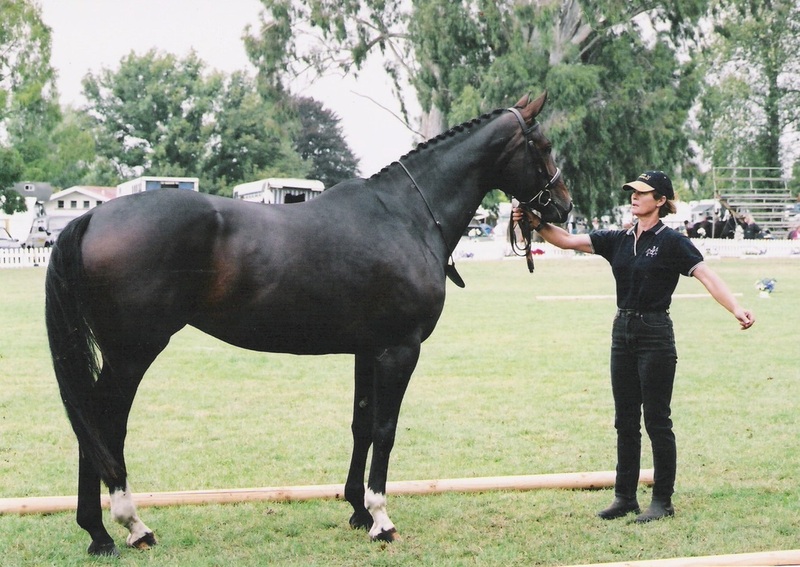 A lovely Thoroughbred mare by Grosvener who is well known as a sire of eventers and jumpers. Beautiful mare out of Elodie (by Earl out of Weltmeyer mare) by Bonifatious. Lovely mare out of Weltliebe by "His Highness". 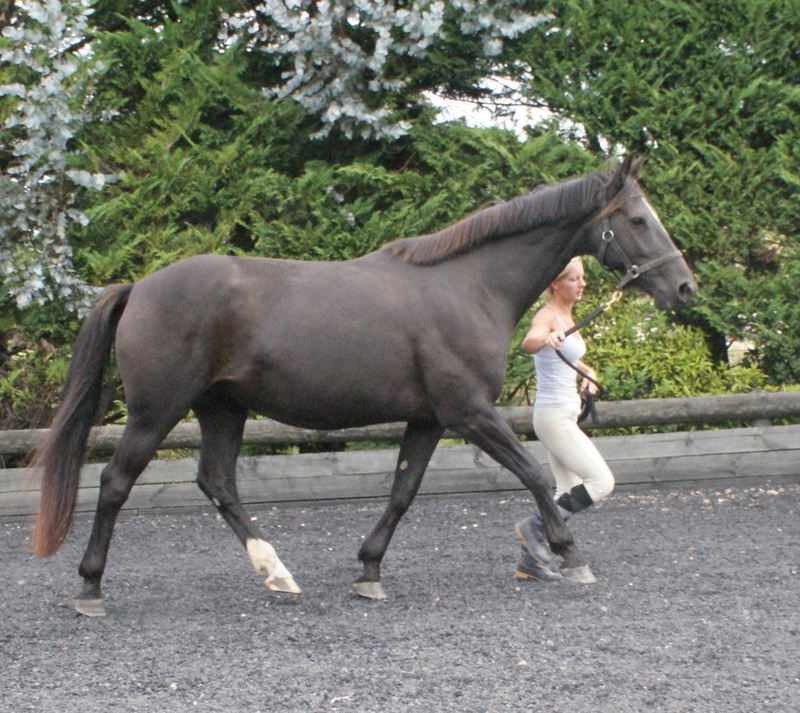 Black mare 16.3hh, Imp. Germany. By Weltmeyer ex Pikantje by Pik Bube. Top European dressage bloodlines. We purchased Angie when on a Hanoverian Orientation course in Germany in 1996. 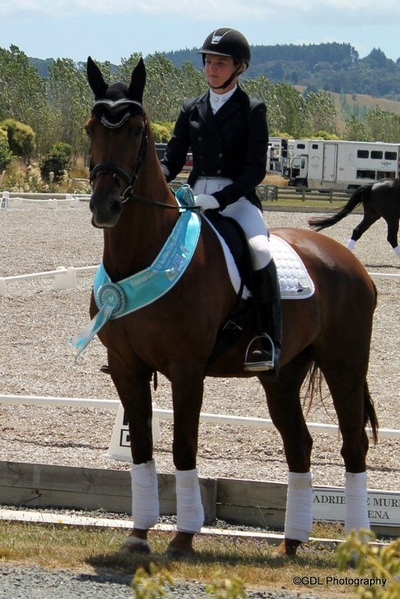 She came home and was very successfully schooled and competed by Louisa Hill, winning most Novice titles in NZ. 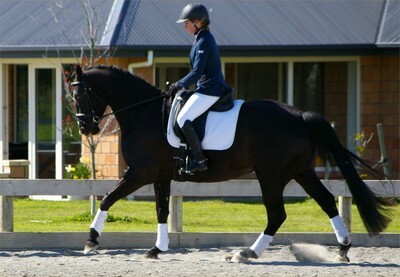 After an injury break she is being competed by her owner and was North Island Medium Dressage Champion. 'Angie' has had several embryo transfer foals, the first "Adelheid" by Anamour, has had some lovely foals by Gymnastik Star. 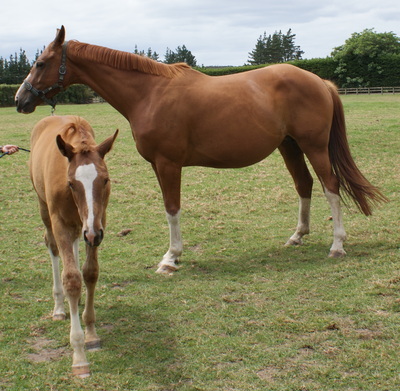 The second embryo foal sadly died in a paddock accident. Her third foal is called Dream World by Dream Boy. Her progeny all inherit her wonderful floating movement with a long moment of suspension. We have since tried unsuccessfully to acheive other embryo transfer foals, so Wel Kantje has now retired to the broodmare paddock. 1998 - "Adelheid MH". black filly by Anamour. 2001 - "Dream World MH" brown filly by Dream Boy. 2010 - un-named filly by Furst Nymphenberg, sadly deceased. Wel Kantje is now retired from breeding, what a wonderful broodmare she has been for us. Black mare by Anamour ex Wel Kantje (Imp Germany.) She is Wel Kantje's first embryo foal. She is producing very good looking progeny with super movement. Young Hanoverian mare by Dancier out of Wel Kantje. Very attractive black mare with white markings. 2012 - in foal to Furstenball. 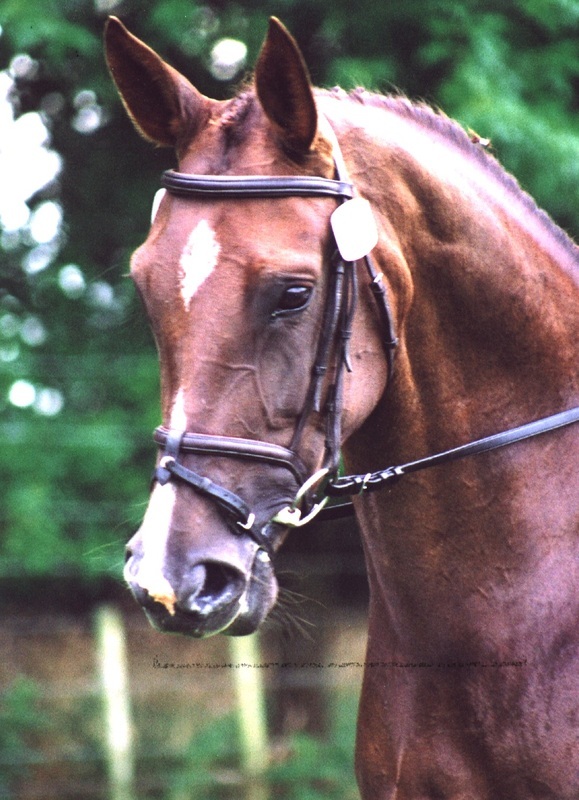 Brown mare 16.2hh, Imp Germany. By Don Primero ex Adventica by Amazonas. Diva is an Elite Auction horse and has wonderful paces and temperament. She is competing at Medium level. Dark brown mare by Anamour ex Gabana by Genius. 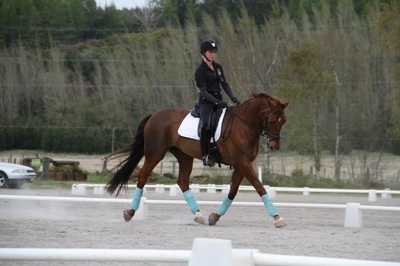 A very attractive mare, Anteaga is continuing to develop very nicely under saddle. She has already competed lightly in dressage for scores over 65% with several placings. Anteaga is a very elegant mare with three very good elevated paces. Late maturing, will mature approx 16.3hh. Antega has joined our broodmare team in 2008. Belle Du Jour is a stunning dark brown filly by Brentano II out of Grandessa (by Graf Landau), she was born 22nd of October 2007. Belle has recently joined the broodmare team due to a injury. Gave birth to her first foal in October 2011, a very attractive colt by Prestige VDL. Quality grey mare by Gymnastik Star out of our imported mare Grimalda, who is by Graf Landau. Grandessa was bred by us and produced her first foal in November 2005, a stunning grey filly with huge movement. 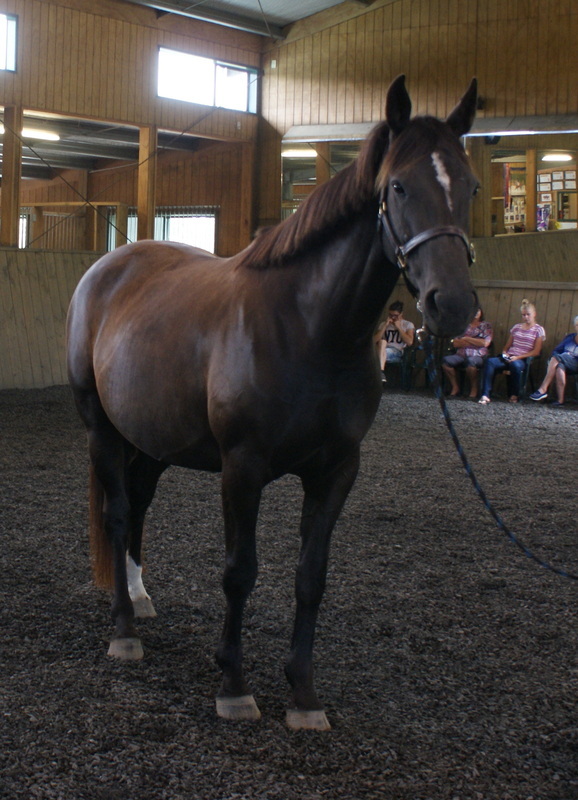 Grandessa is in foal to Stolzenberg by Staccato (a Showjumping stallion) for 2009. Chestnut mare By River Dance (Rubenstein) out of Widia (Imp Australia) by Winterkonig. Rain Dance has super conformation and elevated paces. She has a small blaze and white socks behind. 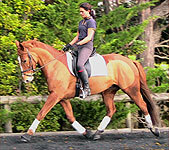 Her breeding going back to Rubinstein is some of the best dressage lines in the world. She has performed with success under saddle with wins and placings at her first dressage outings. Rain Dance has recently joined our broodmare team. Liver chestnut mare, by Graf Landau ex Well and True by Winterkonig. Australian Grand Prix horse Wiking was Well and True's full sister. Gratiola gained Australian Premium mare status in her Mare Performance test. She is over 16hh with very good paces and showed the ability to jump. 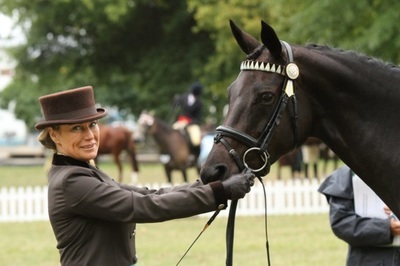 We have competed Gratiola and she has over 100 dressage points to date. Her first foal, "Gluck Star" by Gymnastik Star is a really super young horse with amazing eyecatching movement. Elodie is a well bred young Hanoverian mare, by Earl (by Escudo I) and out of Whitsun (by Weltmeyer). Her first foal for us was born in 2010, a brown filly "Graffiti" by Graf Top. Treacle is a dark brown full Thoroughbred mare by Danasinga. She's now in foal to Edward, by Embassy by Escudo - a super showjumping line. Grey mare by Graf Landau ex Smeralda By Silky Baby (Hanoverian licensed TB stallion) out of a German imported mare by Goldstern. She has lovely elastic paces and a super temperament. 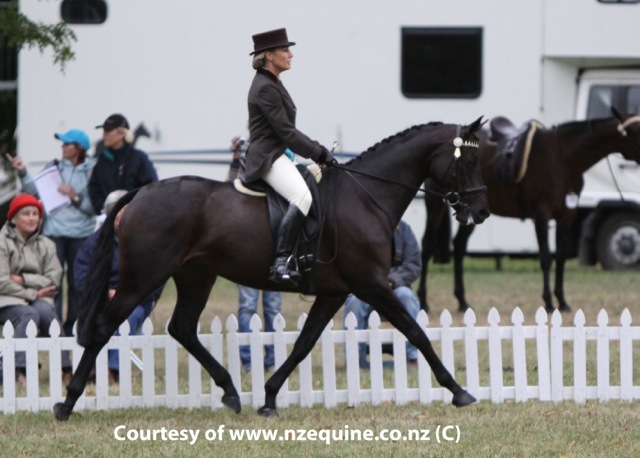 She has had a season out competing in dressage, before going into the broodmare paddock. Her filly foal "Grandessa" by Gymnastik Star, born 2001, is being retained by the stud for breeding. Azena is by Anamour out of Georgie Girl by Genius out of a Witzbold mare. She was bred by the Freemans at Bilbar Lodge and we bought her as a weanling. Azena has done her mare testing in NZ with a German Inspector and is a NZ Premium mare with 8.5 for rideability. We have also competed her and she has 200 dressage points. She has amazing paces with a huge moment of suspension. Azena has been retired from breeding. By Genius out of a TB mare Serene Consul by First Consul. 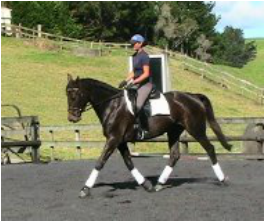 Greta was bred here, she was competed to Medium Dressage. As a youngster I showed her In Hand, she did very well at the Horse of The Year Show, won Champion Female as a 2yr old. She has lovely movement and is easy to handle etc. Greta is a NZ Premium mare winning the first Mare Performance Test in NZ. She did well in her paces, rideability and is a talented jumper. She produces quality progeny with very good movement. Chestnut mare born 2001, by De Niro ex Witzfleur by Witzbold. In Dabado's mare inspection by the German visitor Dr Wilkins, she scored very well, with an 8+, and was 2nd highest for the NZ Inspection Tour. 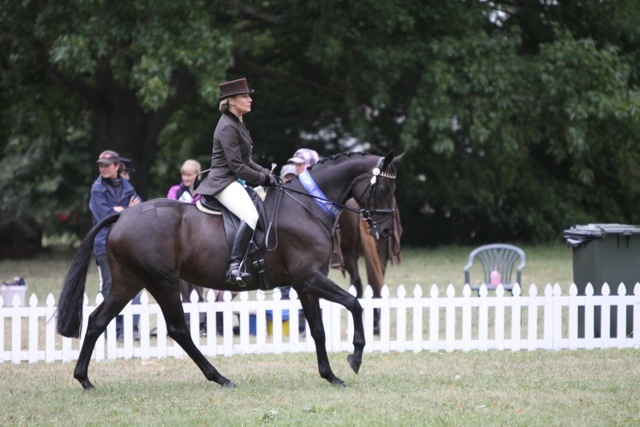 Dabado has 102 dressage points and was Reserve Champion Novice twice during her time under saddle. She won Reserve Champion in-hand in the Hanoverian classes at HOY show. She has a lovely nature and will hopefully produce some stunning foals as well. Bay mare 16.1hh by Genius ex a TB mare. 'Wilma' was an orphan foal and was bottle reared, ending up unsound. 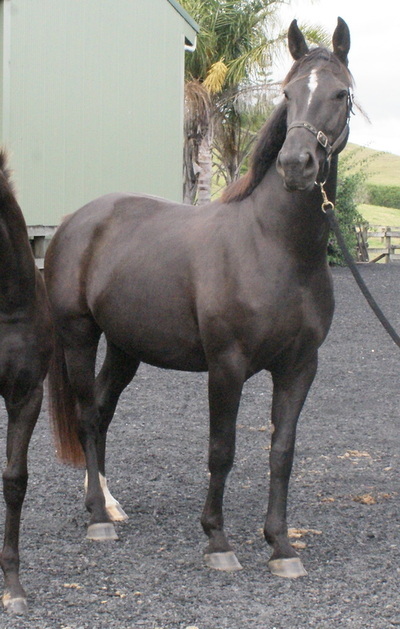 She has some very good foals, the one with her in the photo on the right is by Gymnastik Star. She has tall, very good moving foals. 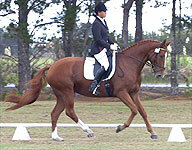 Also pictured below is Aachen by Anamour, now a very successful dressage horse. Grand Gift has sadly deceased. Imported mare by Weltmeyer. Her dam Goldspeil by Golfstrom scored 9's. 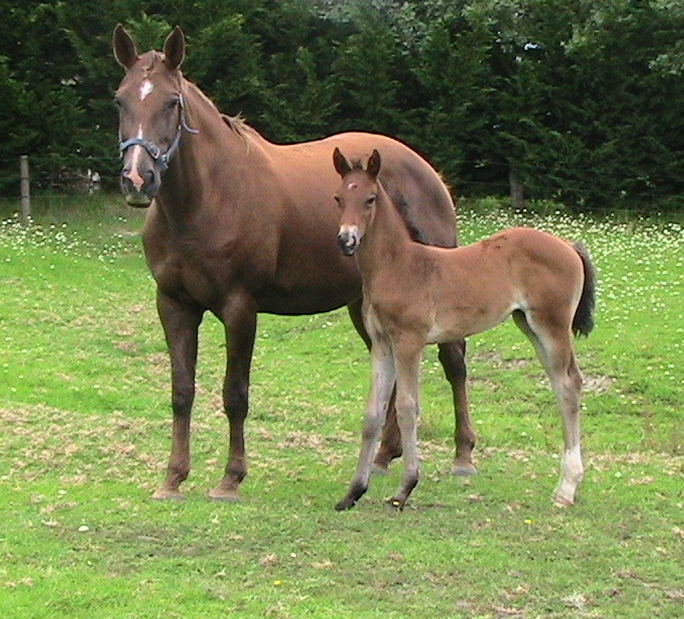 Whitsun won a champion foal award. 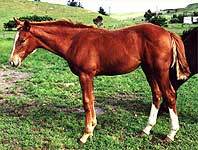 Then her son Donnerson by Donnerhall, was titled Champion Foal at Stoneleigh in England. He is now a licensed performance tested stallion, standing in England. He competed at Advanced level at 8 years old. Whitsun won Open Medium Horse of the Year in NZ, as competed by her former owner Jo McNicoll. She was working Advanced. 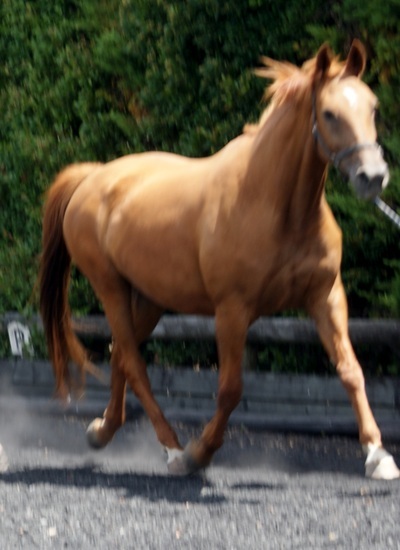 Her daughter "Anja" by Anamour was born by embryo transfer here in NZ, and is a NZ Elite mare. Whitsun is now continuing to produce very good foals for us. Whitsun has been retired from breeding. Chestnut mare by Winterkoenig ex Dinkum by Daktylus. Widia has very good paces with a very rhythmical trot. She breeds lovely moving, tall and elegant offspring. 2001 - 'Rain Dance MH', filly by Riverdance. 2006 - Sadly her foal by Don Frederico was presented wrongly at foaling and was born dead. Black mare by Witzbold ex TB mare Sonrisa. Fleur is a a very elegant Witzbold mare around 16hh. Witzfleur has been retired from breeding.